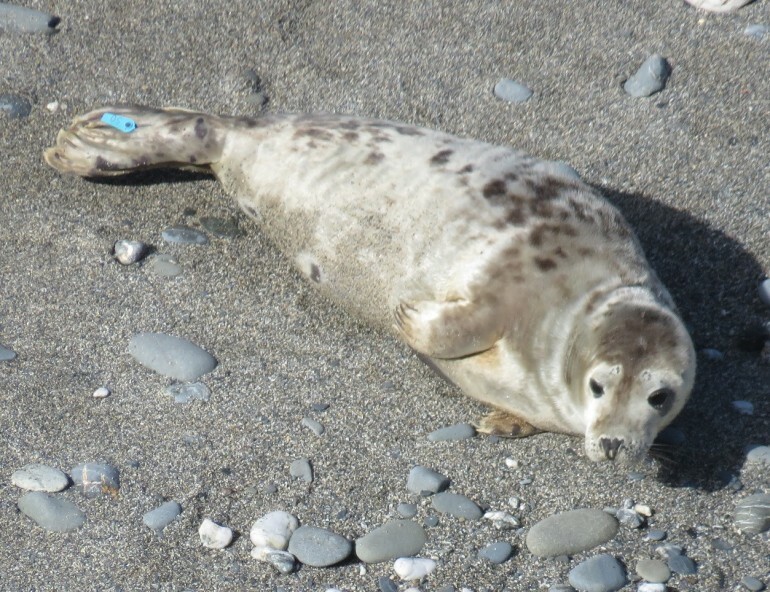 Ironically Kerplunk, the second seal to be rescued during the 2015/16 season turned out to be the first to be resighted back in the wild on the same beach. 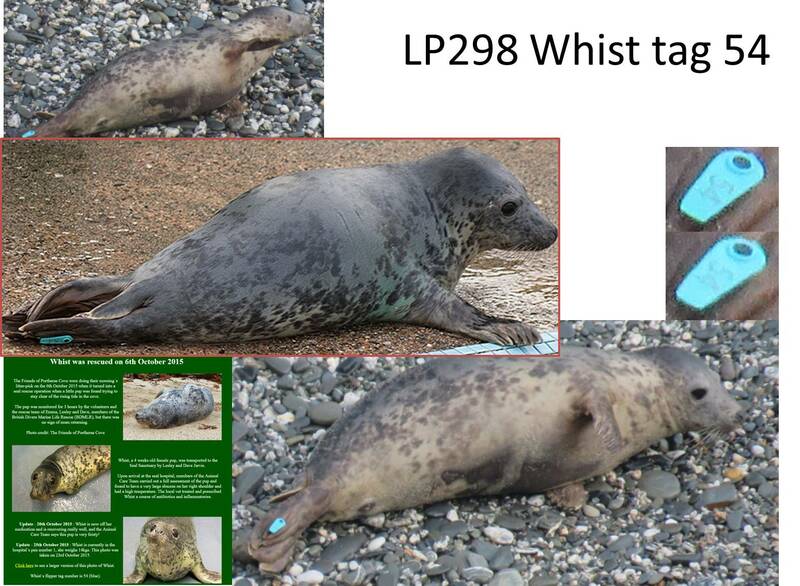 Kerplunk’s story is an epic one, that resulted in this an amazing seal having her left rear flipper removed. Both seal pups appear to be thriving back in the wild and comfortable in the company of other seals. 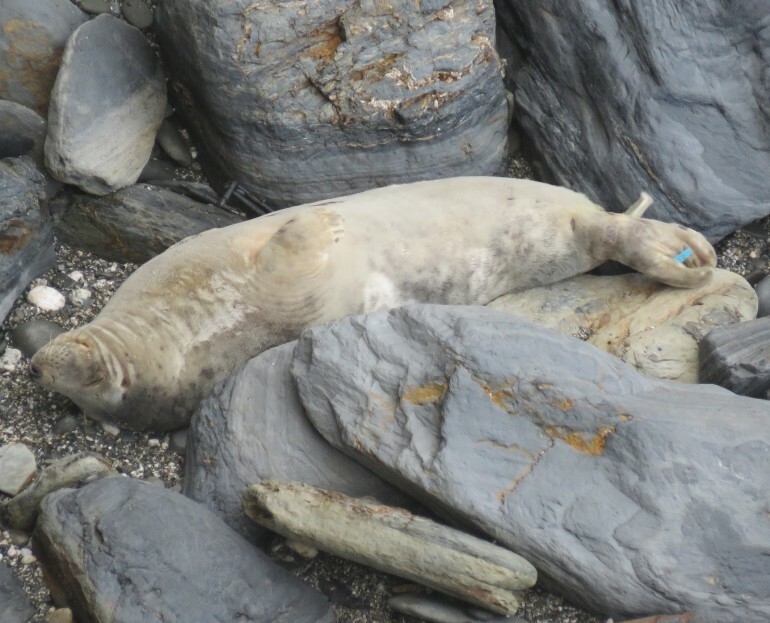 Huge thanks to the British Divers Marine Life Rescue and Cornish Seal Sanctuary teams who worked so hard to give these seals a second chance! CSGRT’s Sue and Kate saw the third rescued and rehabbed seal to be re-sighted back in the wild on 04/04/16 at West Cornwall. This turned out to be Whist who was found by the Friend of Portheras Cove and rescued by British Divers Marine Life Rescue back in October! Read Whist’s rehab story by clicking here! Red outline photo is an ID catalogue photo taken by Barry and Joyce Williams. Others are from 04/04/16 by Sue Sayer.